The Azimut/Benetti Group 2015 Yachting Gala has just taken place in Portofino. This annual event is dedicated to enthusiasts of yachts designed and created by brand names belonging to the Azimut-Benetti Group who are world leaders in the sector and the only Group to be under full Italian control. Over the weekend of 27 and 28 June, more than 700 international clients were welcomed by the Group and other iconic names in Made in Italy luxury such as Damiani and Maserati. They spent two days in Portofino Marina and Paraggi Bay that were dedicated to seeing the best of the nautical world and to sampling the Made in Italy lifestyle. Another special event was the world debut of the new Azimut Magellano 66. During the weekend, Portofino Marina was fully dedicated to the most glamorous event on the nautical calendar at which guests were treated to seeing the Group's whole fleet lined up and available for them, along with other examples of Italian luxury and superb taste from other iconic names. This Azimut-Benetti Yachting Gala was the eighth of its kind. The weekend opened with sea trials which let guests admire the Azimut and Benetti range before its official launch which will take place at Boat Shows in the Autumn. On the Saturday afternoon, yachts and jewels sparkled at what can only be described as a exceptional event: the presentation of the new Azimut Magellano 66 was accompanied by a fashion show of jewellery created by Maison Damiani, the brand name from Valenzano which has represented the sheer excellence of Italian Jewellery for many generations. In the evening, the famous Paraggi beach was transformed into the Azimut Beach Club by an Agency from London - one of the best known agencies in the world for organising VIP events. First dinner, music, then the yacht parade followed by a laser show and a huge bonfire on the beach. Sunday again saw space dedicated to the latest news in yachts along with fresh opportunities to test other types of engines: those fitted to powerful, elegant Maserati, yet another wonderful example of Made in Italy excellence. Among the Yachting Gala partners, in addition to technical sponsors Volvo Penta and Cummins, Pernod Ricard - with brands as Mumm and Absolut - and Villeroy and Boch who enriched the interiors of the yachts on show with their world renowned china tableware. After the successful outcome from the opening of Azimut Yachts Thailand, Azimut Yachts Indonesia and Azimut Yachts Hong Kong, the Italian Shipyard continues to invest in the Asian Market and announces the launch of a New Dealership in Shanghai. The new collaboration is the latest step to increase the presence of Azimut Yachts in China and it’s coherent with the new network strategy based on the establishment of a strong local partner dedicated to Azimut Yachts only. SIPG is one of the port operator leaders in the world and the biggest in China. In the yachting business it’s already a consolidated player with two marinas in Shanghai, where a new Azimut Yachts Showroom and a new Azimut Yachts luxurious Clubhouse will open in the Bund to guarantee the best quality of Customer Care to the Azimut Yachts clients. The official launch of the New Dealership has been already scheduled for the mid of July 2015 in the SIPG Marina based in the North Bund Area. Created by Independent Ideas Communications Agency, the new campaign visually combines the prestige of Baglietto yachts with the actual engineering & design work that lies behind them, a ‘behind the scenes’ look at what it takes to achieve excellence. The site features sketches drawn on graph paper - two essential elements of project design – that recall the profile of Baglietto yachts (in this case the Baglietto 46m, the latest displacement yacht built by the shipyard). The yacht’s majestic bow, photographed in all its beauty, points towards the future, indicating that innovation is what constantly drives and steers the brand. The campaign’s headline – Your dreams are our work in progress – defines the brand’s philosophy and the careful craftsmanship that aims to turn the customers’ dreams into reality. The data regarding the current projects, featured at the centre of the page, confirm Baglietto’s great flexibility both in terms of project design and shipyard construction, which allows to meet the specific requirements of every single customer. The Bavaria Open Days took place at the Bavaria shipyard on 12th and 13th of June. More than 500 customers and dealers from more than 20 countries along with 2,000 visitors from the surrounding area around Wurzburg visited the Open Days for a look behind the scenes of the second biggest shipyard for yachts in the world. Seeing nine sailing yachts and seven motor yachts in one place is a common sight for all BAVARIA fans and customers at international boat shows. But also being able to explore a shipyard and to have a cruise on the river Main is only possible at the Bavaria Open Days. Already on the Thursday before the actual event even started around 80 Bavaria dealers from all over the world had found their way to the factory at Giebelstadt to get an overall picture of the latest developments and creations from the Bavaria designers. On Friday the12th of June the shipyard finally opened the gates to invited customers and guests. During the 90 minute tour through the 70,000 square feet shipyard which is one of the most modern of its kind, the very dedicated Bavaria employees showed their guests the impressive facilities including laminating machines, a carpenter’s workshop and production lines. 200 customers enjoyed a sunny test cruise on the Main aboard a model from the new Bavaria sports line. On the exhibition area, 14 of Bavaria’s suppliers represented themselves. Customers and traders used the relaxed atmosphere of the Bavaria Open Days to either participate in one of the numerous workshops or to be able to address straight questions to the exhibitors but also to boat builders, engineers and product developers as well. This way of consulting directly at the shipyard might be the future recipe for success. More than 50 orders for yachts were placed during the two days. Another positive step forward will be a permanent show room at the shipyard in 2016. For the first time since the foundation of the shipyard in 1978 Bavaria opened the doors for all interested visitors of the region and of course for the employees and their family members. About 2,000 visitors of all ages came to visit the factory area in their neighborhood. On the sales area many Bavaria fans stocked up with discounted items from the Bavaria Nautic-Collection. A part of the earnings from jackets, vests, polo shirts and pants was donated by Bavaria to the initiative Sunshine4kids. Now the youngsters in difficult situations can look forward to a one-week sailing cruise on a Bavaria Cruiser 46 during the summer. Engaging and selling successfully to ultra-high net worth individuals is not possible without first taking time to understand their needs and desires, and then to establish a trusting, consultative relationship, says a top regional CEO. Gulf Craft, one of the world’s leading superyacht shipyards, addressed the key factors necessary to thrive in today’s competitive luxury industry, during the Arab Luxury World conference that was held in Dubai this week. A brand can build on a strong relationship based on respect with customers through continuously exceeding their expectations. Bamps expresses that this is not necessarily only achievable through offering additional products or features, but more importantly, through over-delivering in the area of customer services. When growing a customer base, Bamps said there is nothing more genuine than satisfied customers as they can validate any sales efforts, and become brand ambassadors. He further added that customer acquirement in the luxury industry is about being at the right place, at the right time, and creating conversations about the company’s offerings. During the recent Emerald Coast Blue Marlin Classic at Sandestin, Fla., the team on board the Hatteras 60C Cotton Patch from Orange Beach, Ala., didn't just break the tournament record for biggest Blue when they weighed in their 899.6 lb. catch - they crushed it, topping the old mark by 116 pounds! Several Hatteras teams on the big-game tournament trail made the leader board in the 2015 Mississippi Gulf Coast Billfish Classic, held June 1-7 at the Golden Nugget Casino Hotel in Biloxi, Miss. This tournament's tagline is: "Big Boats, Big Fish, Big Bucks". This was just a taste of things to come for these boats, which are red-hot this summer! 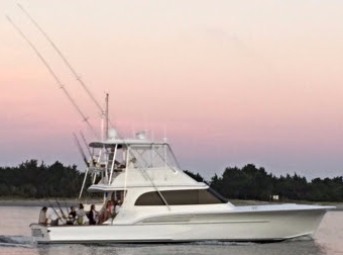 The team aboard the Hatteras GT63 Born2Run came in 2nd place in the Blue Marlin division on the final day when owner angler Dana Foster boated a 113in., 575lb. The team also caught and released two more Blue Marlin for another 1,202 points. With Capt. Myles Colley at the helm Born2Run took home a total of $139,250 from the event. In 4th place, with a 495.6lb Blue Marlin caught by angler Wendy D’olive, was the Hatteras 55 Crippler. The Hatteras 60 Cotton Patch team won the award for 6th place with their 367.7lb. Blue Marlin, caught by angler Lance Hill. In the Tuna division, the Hatteras GT63 Gear Jammer took second place for the 153.8lb fish reeled in by angler Benny Whitehead. Gear Jammer also got on the board in 9th place in the Wahoo division with a 33.8lb catch. 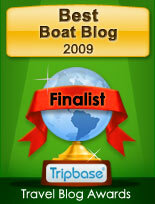 Congratulations to all the captains, anglers and crew aboard these highly competitive boats! Alexis Jacobs, who hails from Columbus, Ohio, didn’t know anything about offshore angling when she entered a fishing-for-fun tournament off Walker’s Cay in the Bahamas back in the early 1990s on the 50 Convertible Hatterascal with Captain Rocky Hardison at the wheel. Jacobs bought the Hatterascal, headed out after big game and never looked back. Over the years, she has put together an all-star team including her longtime captain, Jon Burke; entered dozens of tournaments in the Bahamas, Florida Keys, and in her favorite fishing grounds off Costa Rica, and caught her share of prize fish, including a blue marlin weighing in at 730 pounds. Today, Alexis Jacobs is one of the best-known lady anglers in the U.S., if not the world. Jacobs’ current boat is a Hatteras GT68 that she built new in 2005 via MarineMax of Fort Lauderdale. Her former boats: a 68 Motor Yacht, the 50 Convertible, a 65 Convertible and a 70 Convertible. A hands-on owner, Jacobs visited the Hatteras factory in New Bern, N.C., several times while her new boat was under construction. In fact, Jacobs says she even has influenced the Hatteras design team by being the first owner to demand under-counter refrigeration on her boats. “With stand-up refrigerators offshore, sometimes you open the door and it all comes out at you,” she said. Instead, she spec’d refrigerator drawers for the 65, followed by the 70, and GT68. With her earlier new Hatteras projects, however, she always felt constrained when it came to designing the boats’ interiors because she was concerned about maintaining their resale value. When Jarrett Bay President Randy Ramsey often mentions the “Jarrett Bay family,” he is not only referring to the company's exceptional group of employees, owners and crews, he is also referring to the very hulls that are the nexus behind it all. After Randy received word that the economic downturn left one Jarrett Bay without a proper home, he swooped in and put her on the hill at Jarrett Bay until he formulated what might be next for her. After passing by the boat daily while checking in on the many projects in the works at Jarrett Bay, it came to him that it was time to spend more time on a boat of his own. Thus began the major refit of Hull 25, and quite the story to tell. We are pleased to announce our receipt of the North Carolina Manufacturer of the Year Award in the small manufacturer segment. Presented by McGladrey Consulting of Charlotte and Fifth Third Bank in collaboration with the North Carolina Chamber, the winners are selected based on holistic accomplishments including growth, job creation, innovation and community involvement. Heritage, passion and craftsmanship have defined Jarrett Bay Boatworks in everything, all the way back to the humble beginnings. Now Jarrett Bay are infusing that same heritage, passion and pure dedication into the all-new Jarrett Bay Clothing Co. With this all new line of products, you can expect to experience high quality apparel with no compromises and stand out from the crowd with the same design and ingenuity principles that influence the custom built sportfishing yachts. One of the largest refit projects in the history of the Jongert shipyard, the ’86 Jongert 32DS Tamer II has been completed and the yacht is on her way back to the Mediterranean. During an intense 18 months Jongert has overhauled every bit of the yacht, and the result is an iconic sailing yacht in mint condition. Tamer II was originally launched in September 1986, being the largest yacht ever built by Jongert at that time. It took a two day transport to get the yacht form the old shipyard in Medemblik to the first suitable launching site because of the shallow waters and narrow locks in the surrounding of the former shipyard. This made it not only the largest yacht built by Jongert, but also the largest yacht ever transported by road in the Netherlands at that time. Designed by Peter Sijm, Tamer II features a large salon with seating, dining and bar, 1 owner and 3 guest cabins and accommodation for a crew of 6. Her LOA extends to 36 meters. The refit project started in December 2013 and was initially scheduled to take around 10 months to finish, but during the project the scope of work tripled while the available additional time was limited due to the upcoming summer season. One of the largest jobs was the renewal of all technical spaces. These have been emptied, sandblasted, spot-repaired, isolated, painted and equipped with brand new installations. In the engine room for example, except for the overhauled main engine, all installations are new. Furthermore, the yacht has been carried out with: new teak deck; new paint job; Haman system; new wiring and electronic systems; new refrigerator & freezer system; new navigation/communication; new air-conditioning; new entertainment systems; new piping for all systems; new standing and running rigging; overhauled and partly renewed masts and booms; a number of interior-exterior modifications. Despite the fact that the yacht is, technologically speaking, brand new, the owner’s specific instruction was to keep the looks of the yacht entirely original. New entertainment systems are cleverly hidden within the original cabinets and all the original tiles, fabrics, carpets, light-fixtures, etc. are either reused or renewed. The latter turned out to be quite challenging as in 28 years much has changed. Fortunately, by having stored much of the original building information, Jongert managed to find the right products and materials. With Tamer II now heading to the Meds the owners get to enjoy a next-to-new yacht right in time for the holiday season to start. The legendary Viking Ocean Showdown is upon us which means the perpetual trophy that has adorned the Viking Yacht Company this past year is up for grabs. Join the fun in Cape May, New Jersey on Wednesday, July 15 through Saturday, July 18 and help Team Viking keep the trophy for one more year. This is the perfect opportunity to join some family based fun fishing with fellow Viking enthusiasts, Viking staff members and vendors. The good natured rivalry is more than just fishing though. It's about stress-free competition and camaraderie plus relaxing nightly dinners, cocktail parties the famous lay day pool party barbeque and other fun dockside activities. Ahead of her dramatic transformation and refurbishment, we are delighted to share with you a look inside Project 31@50. Project 31 has undergone some alterations throughout her life but still remains every bit a Princess - from the impressive hull condition to her original compass and timber finish. The helm, which has been modified over the past five decades, will be given a new lease of life. The original period features will be restored and will take pride of place in the new upgraded helm design by the Princess Design Studio. While the boat's engines have been replaced during her lifetime, the current Volvo Penta's are in line with those originally fitted on Project 31 so will be reconditioned with the kind support of Marine Engineering (Looe) Ltd, official Volvo Penta Centre, and Volvo Penta. Inside, the boat's mahogany timber will be lovingly restored while the red leather upholstery and chequered work surfaces will be uplifted with a new stylish, sixties inspired finish by the Princess Design Studio including fabrics from artisan design house Dedar Milano. in the Balearics and throughout the Mediterranean over the years. 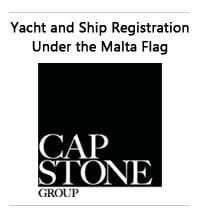 Joining Sanlorenzo Yachts Balear S.L. as Senior Sales Consultant is Attila OederErickson, a renowned specialist in the Sanlorenzo brand who has sold a great number of Sanlorenzo yachts in the area over the years. Sanlorenzo Yachts Balear S.L. will also provide full after-sales support via a specialized Sanlorenzo service centre with over 25-year experience in this field. Sunseeker International today announces the creation of a new Executive Committee to help drive excellence, efficiency and profitable growth across the business. Led by CEO Phil Popham who joined the group in January, the team has ambitious plans to set Sunseeker on a new course to significantly strengthen its position as the number one global brand for luxury performance motor yachts. The executive team will place a clear focus on new product innovation and model development, aligned to world class manufacturing and support services across the business. Individuals will be responsible for driving continuous improvement in the group’s new model development programme, design & engineering, production, financial performance, HR, customer service, legal and sales capabilities. The new Executive Committee will comprise: Phil Popham – Chief Executive Officer, Hugues Jacquin – Chief Financial Officer, Sean Robertson - Sales & Marketing Director, John Braithwaite - Product Development Director, Thomas Klein – Operations Director, Clive Harrop – Director of Industrial Strategy, Jonathan Macklin - Quality & Customer Service Director, Sian Thomas - HR Director, Adrian Powell - General Counsel & Company Secretary. This new team brings together specialists from a diverse range of backgrounds, with a balanced mix of long term marine sector veterans complemented by new talent from the luxury automotive, design and aeronautical sectors. Newly appointed Thomas Klein is an internationally experienced executive with a 30-year career track record in manufacturing. His experience gained in single and multi-site roles for different companies across Europe has given him a strong understanding of the ‘levers of successes involved in manufacturing transformation at a cultural as well as a technical level. Founder Robert Braithwaite will continue to support the business and advise the executive team, contributing his many years of invaluable knowledge and experience. The group retains strong financial backing and support from its strategic shareholder Wanda Group, which remains fully committed to the long term development of this quintessentially British brand, and to maintaining production at its current facilities in Poole. To kickstart the summer this month, Sunseeker will share the finest photography of its world leading luxury performance motoryachts across social media channels as part of #SunseekerSummer. Throughout the month of June Sunseeker will share a different image every day across its Facebook, Twitter and LinkedIn platforms with the #SunseekerSummer hashtag. The images will feature its entire range of stunning motoryachts in exotic locations across the globe. Customers and followers can also get snapping themselves and share their own photos using the hashtag to show how they are enjoying the summer. Whether it is on board their own Sunseekers, with friends or admiring the beautiful boats they aspire to own one day, everyone can join in and bring some glamour and sunshine to their social media activity. S2 Yachts, builders of premium Pursuit Boats and Tiara Yachts announced today a partnership with the leading yacht insurance broker, Atlass Insurance based in Fort Lauderdale, Florida. The S2 Yachts specific program is designed to offer all present and future Tiara Yachts and Pursuit Boats owners an industry leading compliment of benefi ts uniquely tailored to the product’s end use. Program highlights include guaranteed Tiara/Pursuit repairs, search and rescue coverage, incidental towing, damage to marine environment protection and a host of other benefits only available through Atlass and S2 Yachts. One of the other attractive aspects of the partnership is that owners can take advantage of this program through their existing insurance agent by simply contacting Atlass. In conjunction with this announcement, S2 Yachts will provide links to access this benefit. 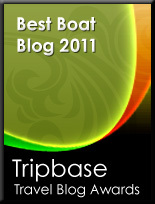 Authorized dealers worldwide will also serve to funnel interested new boat owners into the program. Pursuit Boats is pleased to announce that Mark Taiclet has joined the Pursuit Boats sales team as a Product and Distribution Manager. In this new role, Mark will be focused on growing and improving the quality of the Pursuit Boats distribution network as well as ensuring Pursuit Boats are competitive within the marketplace and outfitted with current features and content. Mark has vast experience in the marine industry, with the majority of time spent in various positions at Sea Ray Boats in the areas of new product development, product sales training, and national/regional sales. He comes to Pursuit Boats from Seakeeper, the premium manufacturer of gyro stabilizers. 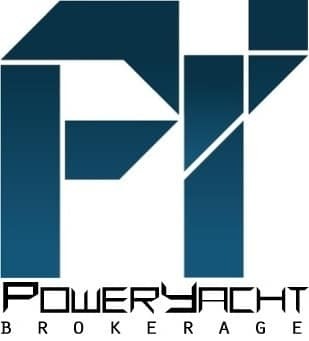 Mark will be based at Pursuit Boats in Ft. Pierce, FL. It’s almost a year since the presentation of the WIDER 32 to the market and our express cruiser has hit a chord and is taking off! A stunning white model is available for sea trials in the glamorous waters of Saint Tropez. It will remain there during the summer until sold. Wider local distributor, Mercurio, will happily assist in a sea trial, if you are in the area. As the third week in June nears completion, the make ready docks are finally getting some berthing room as Viking 82029 with its beautiful Stars and Stripes blue hull leaves the basin for a jaunt to Savannah, Georgia, where it will meet a ship to take it home to Italy. So far this month Viking have delivered a 70, a 62, a 55, a 52 and three 82 Convertibles! Before June ends, Viking has six more new Vikings leaving New Gretna, making for one hellacious month. Did you catch this cameo Sunday night? The new HBO series Ballers, starring Dwayne Johnson, spent a little time with this pretty girl during the premiere episode. Set in Miami, it's Entourage meets the NFL with some beautiful scenery including this striking Viking yacht. The above scene is between Ballers' Ricky Jerret, a recently cut Green Bay Packer, and the fictional Miami Dolphins coach. Ricky showed up late for a fishing trip/meeting and things didn't go as planned. All Viking fan knows better...never show up late for fishing! Bragging rights aside, 78 teams were looking at their share of over $1.5 million in prize money at the recent Emerald Coast Blue Marlin Classic, known as the richest big-game tournament in the Gulf of Mexico. The first Viking to pick up a check was the 50 Convertible Pier Pressure with a First Place win in the Release Division. With Captain Brian Lord at the wheel, Pier Pressure released three blues and two whites for the title. Next up was the Viking 56 Reel Addiction. Lady angler Laurie Jones, with a little help from her husband Rocky and Captain Scooter Porto, brought a 551 pound blue to the scales to cement Second Place Blue Marlin. The team Reel Addiction also picked up the title of Second Place Crew. Other Vikings on the board included the Viking 66 Pair-A-Dice with two blue marlin releases good for Third Place Release team. Second Place Dolphin was awarded to Don't Blink, a Viking 56, with a 43.7 pound fish. Third Place Tuna went to the Viking 66 Southern Miss with a 164.6 pounder while Sherry Polk on the Viking 76 Share-E claimed Third Place Wahoo with a 48 pound 'hoo. Congratulations to Captain Jason Buck on the Viking 70 Done Deal releasing the first blue of the tournament. The leaderboard was covered up with Vikings at the recent Mississippi Gulf Coast Billfish Classic but all eyes were on 18 year old Katie Gonsoulin. Katie, fishing on Jon Gonsoulin's Viking 70 Done Deal landed the biggest blue marlin of the tournament with a 587.3 pound fish more than five times her size. After almost four hours fighting the fish Katie gushed, "It was an incredible feeling!" Hats off to Captain Jason Buck and the Done Deal crew. Captain Luke Crenshaw on the Viking 64 Carib led his team to Top Boat and Top Release Boat. Dan St. Germain fishing on the Viking 58 Rising Sons was the Top Tuna Angler while Mike Castle on the Viking 66 Ms. Castle claimed third in the category. A Work of Art angler Stephen Chapman fishing on the Viking 76 took Top Wahoo. Jennifer Attaway aboard the Viking 66 Controlled Chaos was right on his heels in second place. Second Place Dolphin was awarded to Viking 61 Conundrum angler Dan Hauser. The 46 boat fleet at the Cajun Canyons Billfish Classic competed for a purse just shy of $600,000. Early Friday morning Captain Kevin Frelich and angler Sherry Polk on the Viking 76 Share-E called in the first white marlin release of the tournament. On Day Two, the Viking 55 Pipe Dream owned by Randy Pipes, radioed in a blue marlin. Ransom Pipes, fishing with his father Randy, claimed Second Place with that fish weighing in at 454.7 pounds. Third Place Blue Marlin was won by Chris Cenac on the Viking 58 Rising Sons. Top Female Angler went to Laurie Jones with a blue marlin release and 22.7 pound dolphin. Laurie fished aboard Rocky Jones' Viking 56 Reel Addiction. The dolphin division was won by Reel Addiction angler Nate Davis' 42.2 pound fish. Second Place in the tuna division went to angler Bruce Ross fishing his Viking 54 Dorado. Bruce's dolphin tipped the scales at 118.5 pounds. Angler Jody Miller took Third Place Dolphin alongside Captain Hunter Forbes and owner Sean Ely on the Viking 56 Pour Intentions. Jody's catch weighed in at 34.2 pounds. During the tournament $7,000.00 was raised and donated to the Billfish Foundation. Rusty Skalla and his team on the Viking 54 Rise Up enjoyed a nice payday at the Orange Beach Billfish Classic this past May. The first event of the Gulf Coast Triple Crown, Rise Up angler Jeff Fulford boated a blue marlin that tipped the scales at 502.2 pounds to win the blue marlin category. Captain Jason Hallmark and the crew also released a blue to take third in the catch and release division, as well as claiming third place dolphin caught by Rodney Johnson. The Viking 56 Just the Tip took second place in catch and release. Joe Ramey and his Just the Tip anglers also took the top spot in the tuna category with a 164.2 pound yellowfin caught by Ronald Dugas and third place tuna thanks to Craig Girouard. Al Dente, Emeril Lagasse's Viking 70 claimed second place dolphin with a 29.2 pound fish and we are sure he made good use of it! Dan Haesuser's Viking 61 Conundrum won the wahoo category with a 37.8 pound 'hoo. Bandit, a Viking 82 owned by Bert Steindofs, claimed third place catch and release. Buell Polk and his team on the Viking 76 Share-E had the first and second place tunas. When the scales settled, Tournament Director Kate Dorland presented a check for $36,000 to The Billfish Foundation. "It was by far the longest week of my life," admitted Viking 62 Captain Brian Komer after hooking a big blue marlin 15 minutes into day one at the prestigious 57th Annual Big Rock Blue Marlin Tournament. The crew had some agonizing moments to wait out amongst a 149 boat fleet. Captain Brian with Mate Mike Provow left the production line at the Viking Yacht Company facility days earlier with eyes set on the Big Rock prize and just like last year at the Beach Haven White Marlin Invitational, the boys were first out of the gate with a brand new boat. Once in Morehead City, North Carolina, the anglers from Bluewater Yacht Sales acclimated to the 62 Convertible and the crew was ready for Day One. Just 15 minutes into the tournament, Earle Hall hooked a 680 pound blue marlin. It was the first fish to the scale and stayed on the top of the leaderboard all week. Congratulations are also in order to Bill Farrior fishing on the Viking 55 Job Site. Bill's white marlin release earned him Top Junior Release Angler.